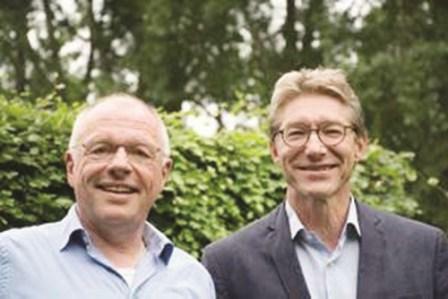 Special Correspondent: The international consultants Dr Reinier de Man (Leiden, The Netherlands) and Dr Michael Arretz (Hamburg, Germany) have been working on optimizing global supply chains for textiles, food and various other products. In the coming editions of The Apparel News, they will share their insights into the Bangladesh textile industry and their ideas on its successful sustainable development in the future. They will stress the importance of social and environmental responsibility for creating a solid business case, both for the individual, companies and for the industry. Here we present an interview The Apparel News had with the two specialists. The Apparel News (AN): Dr Arretz, can you tell our readers about your backgrounds and your motivation to work with the Bangladesh textile industry? Michael Arretz (MA): My career started at the German Otto Group where I had a responsibility for buying children's wear from different import markets. It is a difficult market characterized by small pieces, low price and tough health and safety requirements. We then worked on excluding harmful chemicals and on promoting organic cotton. During many years, I continued this work in the Otto Corporate Social Responsibility department before I switched to other jobs. Already in 1994, I started my cooperation with Reinier de Man who assisted Otto in shaping its sustainable supply chain systems. Today I divide my time between working for the German importer’s association VFI and my own consultancy "Management in Accordance GmbH". In my work as a consultant, I help my clients develop appropriate actions to implement the demands made by export markets. I am convinced that it does not make sense that foreign importing companies take over responsibility. Producers in exporting countries should take responsibility themselves in their own well-understood interest. I see my role not in dictating standards and requirements but in guiding exporting companies towards taking responsibility and to a willingness to monitor themselves instead of being controlled from the outside. The Apparel News (AN): Dr De Man, can I ask you basically the same question? Reinier de Man (RdM): In the early 1990s, I was active in advising both the Dutch and the German governments on shaping their environmental policy with respect to industrial companies and their supply chains. One of the issues we worked on at the time was reducing the environmental footprint from global textile supply chains. Later on, social issues become more prominent. I have been working on different sectors, including the food industry, forestry-based industries and the textile industry. In that framework, my cooperation with Otto started, where I was lucky to meet Dr Arretz, with whom I have been cooperating ever since. My main work in supply chains is creating cooperation between producers of raw materials, manufacturers, retailers and external stakeholders to agree on sensible sustainability standards and effective ways to implement them. I played an important role in setting up the international Roundtable on Sustainable Palm Oil, for example, which sets a global standard for sustainable palm oil. I am highly interested in assisting companies in export countries such as Bangladesh to create a more socially and environmentally responsible textile industry. The main task for the immediate future is to bring back the responsibilities where they belong. It cannot be the task of H&M, C&A or their social compliance audits to manage Bangladesh factories. I very much agree with Dr Arretz that we have to motivate production companies to take their own responsibilities. The best future is a future with responsible companies and a diminishing role of external auditing. AN: Dr Arretz and Dr de Man, you have been working on responsible supply chains and responsible textile production for almost 30 years now. Are you still working on basically the same issues or have there been major changes? MA: You can't compare our present work with what we did, say, 25 years ago. In the beginning, it was mainly about controlling chemicals, to conform with Ökotex-100 etc. Then, for more than 15 years, the focus swept to social issues, including working conditions and factory safety, partly triggered by some unfortunate event in Asian export markets. The working conditions issue is still on the agenda, but energy, climate, water and other environmental issues are becoming more prominent, also in terms of cost factors. There is also much more attention to management systems, including monitoring of performance. And don't forget: implementing yesterday's standards is not enough. All standards will contain higher requirements tomorrow. RdM: But you have to see this in the radically changing industry context. Bangladesh, for example, with its tremendous growth in textile exports is entering a new phase of development. In a few years’ time, it won't satisfy the stereotype of a poor development country anymore. It will combine the advantages of a high-quality industry with the disadvantages of being exempted from favorable customs regimes. To remain the preferred supplier to Western consumer markets means: to keep prices down and increase quality. AN: If you are right, what is your main message to the Bangladesh textile industry then? MA: In principle, controlling costs and quality is not too difficult if you recognize that in this labor intensive industry, the main capital is in the working force, both the employees on the factory floor and the technical and administrative staff. Main focus: the value of human life and the value of human intelligence. Although technological innovation is important, the key issue is to mobilize all available brains on all levels, to create a culture where people are primarily interested in systematic solutions. Good companies must redesign their production processes in a way that they are able to gather various fruits in a single basket: optimizing energy use, improving labor conditions and safety, increasing product quality. As a result, quality goes up, whereas production costs remain competitive. Companies must acquire the intelligence to go for such systemic change rather than ad-hoc repairs. RdM: Perhaps it is important to stress that improving labor conditions and worker safety increase competitiveness and should not be just elements of complying with customer requirements. It is also important to train the brain into the chain. Good companies have an interest to set their own standards beyond present market demands. A last remark: both retailers in consumer markets and producers in countries such as Bangladesh should realize that gradually the distinction between the producer and consumer countries is becoming increasingly obsolete. Both are part of the same global market place that sets common standards for environmental and social performance that apply to all business transactions. To live up to those standards is a condition for staying alive as an industry and move forward to be more excellence in business.